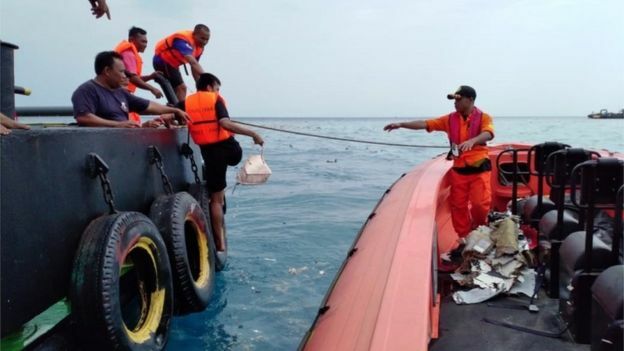 Flight JT 610 was headed for Pangkal Pinang, in the Bangka Belitung Islands, when it lost contact and is believed to have ended up under water. No survivors have been found. The plane was a new type of aircraft and it is unclear what caused the crash. Lion Air is Indonesia's largest low-cost carrier. "The plane crashed into water about 30m to 40m deep," Search and Rescue Agency spokesman Yusuf Latif told AFP news agency. "We're still searching for the remains of the plane." 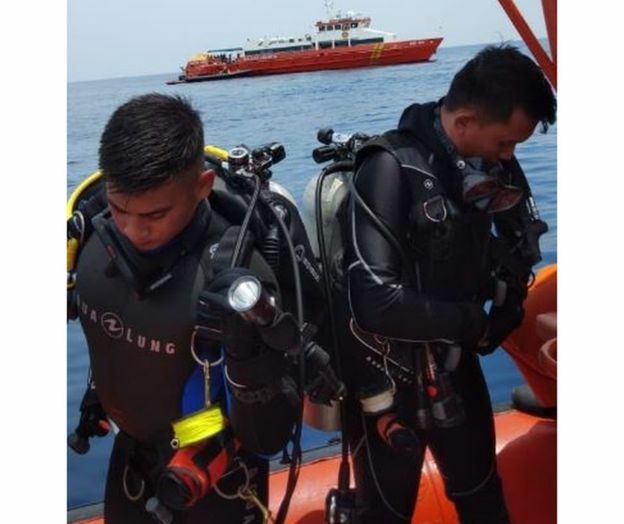 Items believed to belong to passengers have been found in the water, including ID cards and driver's licences, the search and rescue agency said on Twitter. "We don't know yet whether there are any survivors," the agency's head, Muhmmad Syaugi, told reporters. "We hope, we pray, but we cannot confirm." 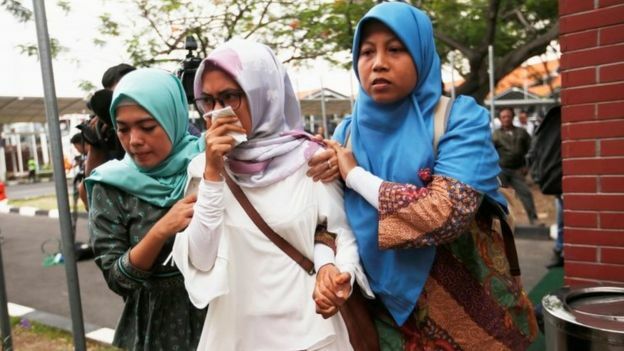 At an earlier news conference, officials said the plane had been carrying 178 adults, one infant and two babies, as well as two pilots and five cabin crew. However, there are conflicting reports on the exact number of people on board.